Sometimes you just want a good ole casserole. This is probably one of Matt's favorite meals that I make. 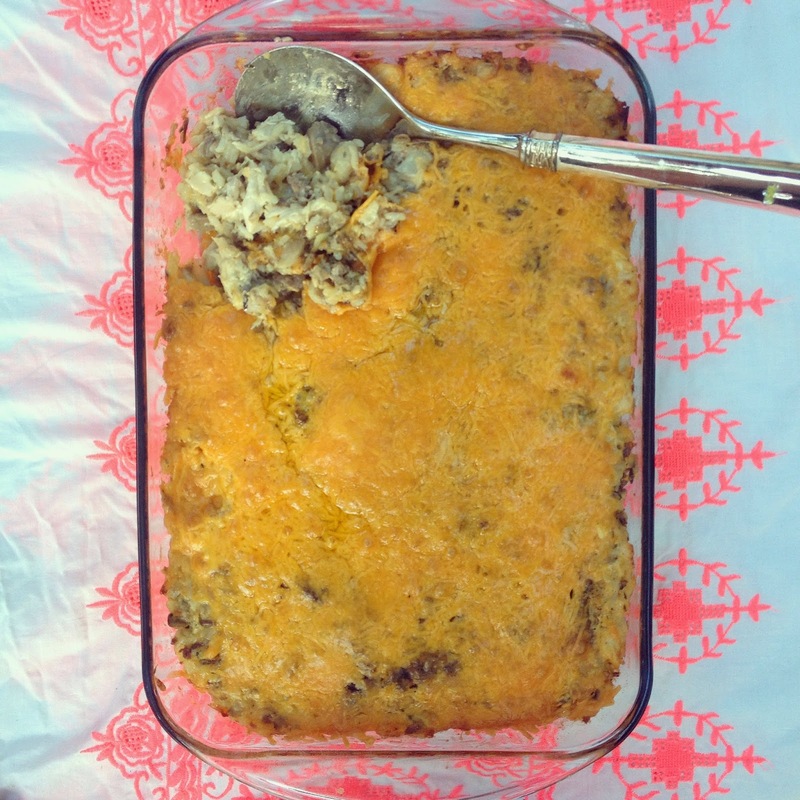 There are a million casserole recipes out there, but this is an old family favorite. It is probably not the healthiest but I assure you it is damn good. This is a great meal to make ahead and pop in the oven. It is also a great meal to take to someone who had a baby, surgery, etc because it can be easily frozen. I love the crunch the water chestnuts add and the mushrooms pair really well with all the other flavors. If don't like using canned soups, which I have no problem with every now and then, you can make your own cream of celery (recipe here). Pair with a green salad and you have a delicious meal! Cook the wild rice according to the box. Shred the chicken and set aside in large bowl. Cook the Sausage and lay on paper towels to drain extra grease off, then place in same bowl as chicken. Sautee the onion in olive oil for about 5 minutes until translucent. Add in the mushrooms and water chestnuts and continue to cook a few minutes. Pour this mixture in the bowl with the chicken and sausage. Add in the can of cream of celery, mayo, and salt and pepper. Mix all together and stir in one cup of cheese. Spread in large casserole dish and top with remaining cheese. Bake at 350 degrees about 45 minutes. 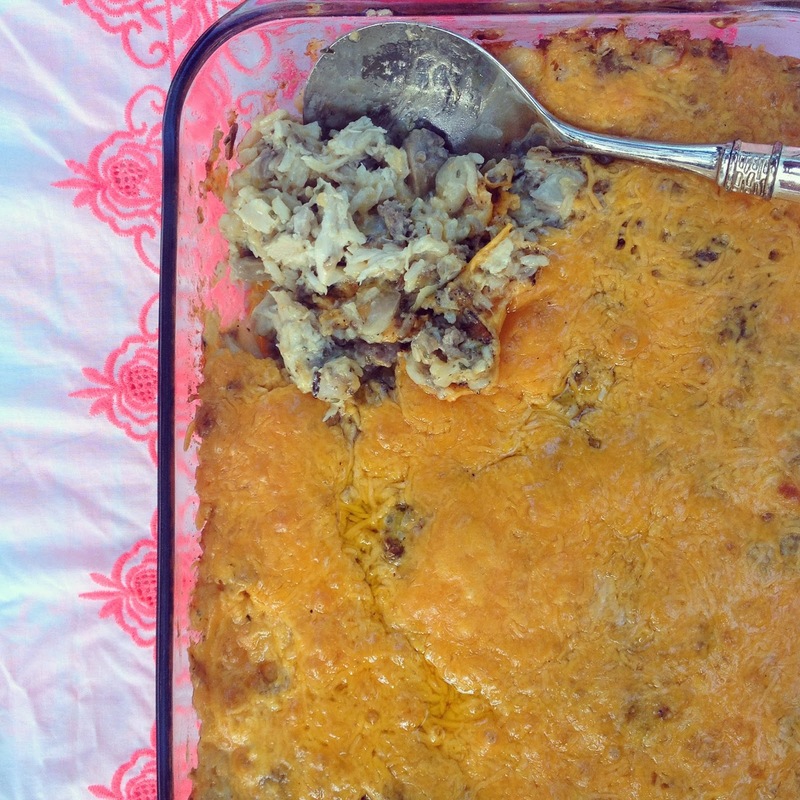 I love how simple + easy casseroles are! And that you can sometimes make them ahead when you're in a time crunch! This looks delicious! Agreed! Sometimes a warm casserole just hits the spot; especially when you can put it together that morning! My mouth is watering, looks so good! Comfort food at its finest.